For reliable hot or cold beverage holding, transport, and service, look no further than this Cambro UC1000402 Ultra Camtainer 10.5 gallon insulated beverage dispenser. 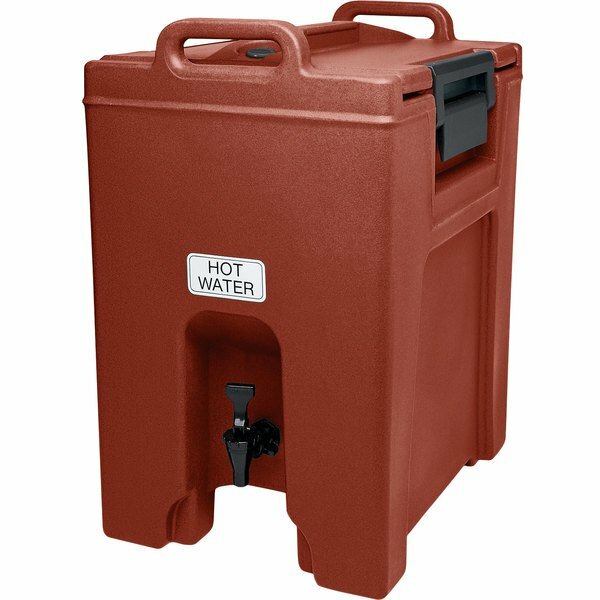 In addition to attractive brick red coloring and a stylish, versatile design, the unit's 10.5 gallon capacity can serve up to (192) 7 oz. cups of coffee, tea, or water. It features single-molded, seamless polyethylene construction with a textured exterior that's designed to resist scratches, dings, and dents. Interior foam insulation and a nylon over-center latch provide outstanding temperature retention for up to 4 hours a time, ensuring that your hot beverages remain hot during the entirety of your event. 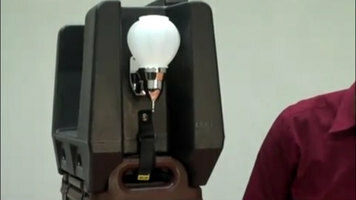 Plus, a large drip-proof recessed spigot ensures convenient access for all your guests and patrons.